Catherine (Cathy) Coulter was born in western Pennsylvania and lived her younger years in Northern Illinois before moving back to western Pennsylvania and marrying a dairy farmer. It's there that she now lives with her husband and is raising 4 children. 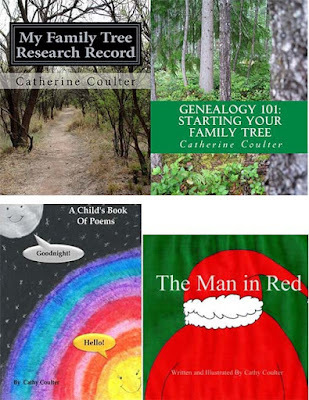 An author and genealogist who majored in elementary/special education and sociology, Cathy has been doing research since 1996 and creating children’s stories since 1989. She is also a volunteer genealogist and member of the Grove City Area Historical Society. A Child's Book of Poems: Goodnight, Hello was her first published book. 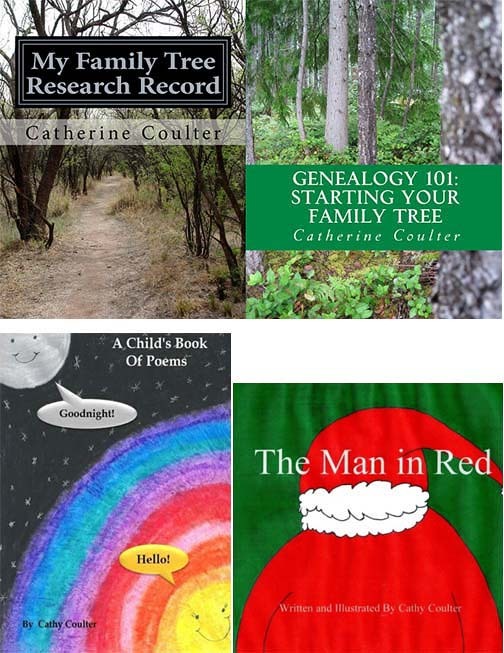 Since then, she has released several genealogy workbooks and a second children’s book titled The Man in Red.Catherine is an affiliate member of the AiA Associated Independent Authors. Daisy Beiler Townsend had a life-long dream of being a writer and published her first story in 1981. Since then her work has been published in Guideposts, The Upper Room, The Secret Place, New Man, Christian Home, and many other Christian periodicals. Now she has written a devotional book that is filled with personal experiences of God speaking to her through the common, every day happenings in life. This has resulted in a deep homespun faith that is shared in many practical ways in her book, Homespun Faith, Reflections on the Seasons of Life. In addition to writing, Daisy is also a certified pastoral counselor, and along with her husband, Donn, she served with One Mission Society as a missionary in Japan for a total of four years, besides five other short-term mission trips to Japan between 2001-2011. They live in Greenville, Pennsylvania and have three children and five grandchildren. Homespun Faith, Reflections on the Seasons of Life can be found locally at Leana's Books (Shenango Valley Mall), M & M Groceries, Fresh Grounds in the Sans Moco area (both in Greenville), and is also available online as an eBook and paperback. LK Hunsaker is the author of a string of novels centered around the arts and societal issues. Raised in Central Illinois in the midst of an artistic family and surrounded by cornfields, she married a career soldier and spent the next 20 years moving around the U.S. and abroad. During that time, she raised two children, worked a few odd jobs, finished her psychology degree, and embarked on a writing career. 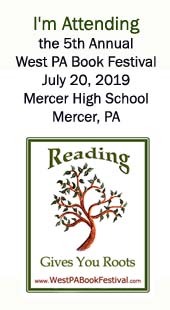 She and her husband have been settled in Western Pennsylvania since 2007 and are kept on their toes by two rambunctious grandbabies in between working and biking through the gorgeous scenery of Mercer County and beyond. LK has been labeled a master storyteller by reviewers and peers, and has won several peer awards and commendations. Several of her short stories, poems, and articles have been published in literary ezines and print magazines. Ella M. Kaye is the pen name for LK’s shorter and more sensual romance line, also featuring the arts. Each book centers around a mental health issue and overcoming the related obstacles in the midst of two people finding each other and growing together into a couple. You can find LK/EMK at most major book retailers, in both print and ebook.